Whether you’re gift shopping for friends and family or just taking advantage of the seasonal sales for yourself, it’s quite likely you will make at least one purchase online from November through the end of December. However, all that online shopping is prime time for cyber criminals to make their attempts at stealing your identity. Think about all of the emails you received in the run-up to Thanksgiving that are advertising Black Friday and Cyber Monday deals - did you do your due diligence to check if they were truly sent from the store or if they were phishing emails? Now, we also know that when it comes to your organization, you really don’t want your employees online shopping at work. However, it’s inevitable that someone might pop onto Amazon for a few minutes to order a quick gift during their lunch break - even if they do it from their phone and not their workstation. Or, they might use their company-issued devices to make purchases during non-working hours. Either way, it’s important to anticipate that someone might be doing some personal errands that could be impacted by the cyber crime high season. 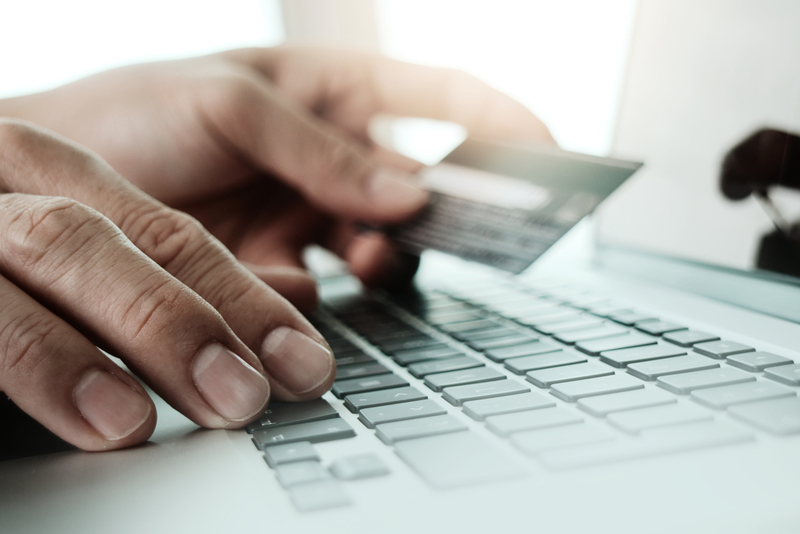 In this post, we’ll discuss two fairly easy ways to keep yourself - and your organization - safe during the online shopping season. When they’re browsing through sales their inboxes, they should be diligent in making sure that the email is truly coming from the store it says it is. When in doubt, they can - and should - simply head directly to the store’s website without clicking on any of the links in the email and take advantage of the sale there. They should be reminded to never, ever, ever provide personal or billing information via email. If they’re having a customer service issue, they should call the store’s customer support line, or open an online ticket through their portal. A random email asking to verify credit card information - especially when there isn’t a need to verify anything - should be immediately marked as SPAM and deleted. When you’re shopping online, one of the worst things you can do is use a public wifi network. It’s difficult to tell your employees what to do on their own time with their own tech (although they’ll hopefully appreciate a kindly worded heads up). But if they use their work devices for personal use, or use their personal devices for work use, then they should be advised of the dangers of transmitting personal or financial information on public wifi networks, as these are prime targets for cyber criminals to swipe information in transit. Do You Have a Network Security Strategy? Keeping your organization’s network safe is incredibly important. And during a time of year when cyber criminals are making their mark and your users are multi-tasking with personal and professional items, it can be a bit trickier. To learn more about keeping your network safe, check out our whitepaper Security in Layers.